2018. Drawn with ink brush pen, colored in Photoshop. A project to make a comic out of "a memory of a process." 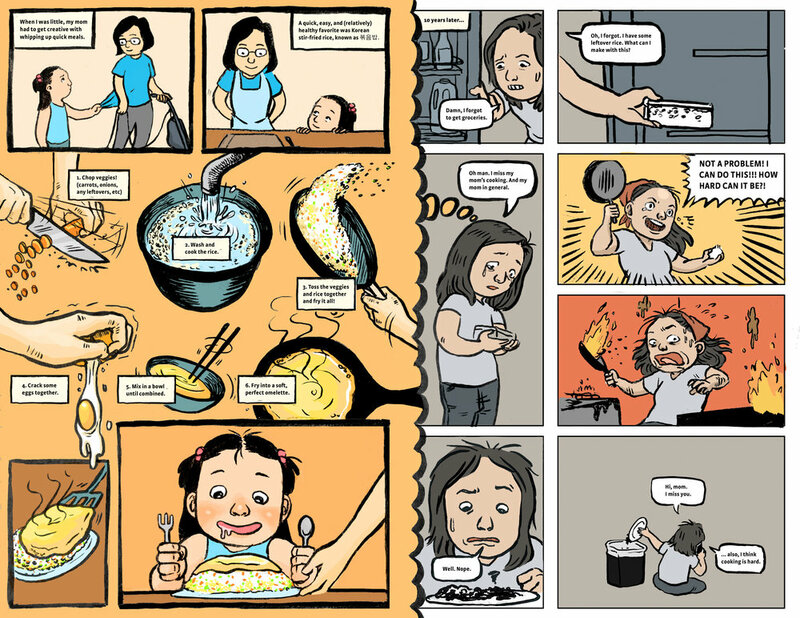 I chose the memory of watching my mother cook Korean food as a young child, and my attempt to recreate her magic. Being far away from home in college regularly stirs up feelings of nostalgia, and my love for traditional Korean dishes is often disappointed by the Midwestern equivalents. I wanted to capture the warmth and seeming ease of the cooking process from my childhood, contrasted with the dull reality of capturing the taste and feel of a memory.